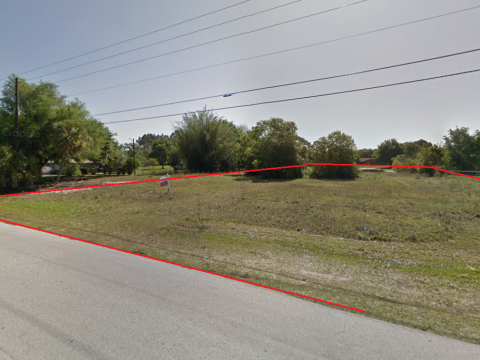 Don’t miss this well situated buildable parcel in Wesley Chapel, Foxridge subdivision off state road 54. 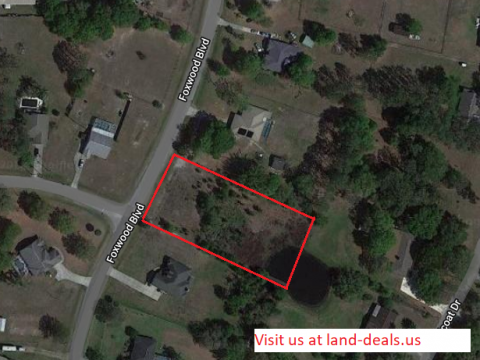 Lot has plenty of room to build your dream home in this community. Close to restaurants, shopping and schools. 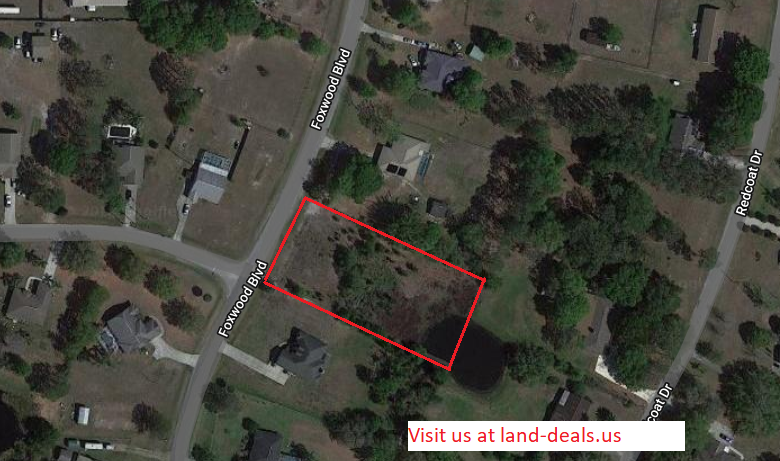 Build your dream home on this acre lot. 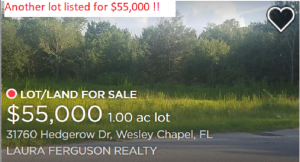 Enjoy NO CDD, NO HOA, low taxes and A rated schools. 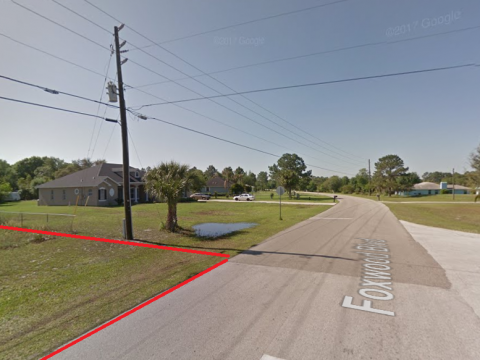 Located on the Gulf of Mexico in the Tampa Bay area, Pasco is part of a nine-county region referred to as the “Nature Coast.” Just 30 miles north of Tampa and about 50 miles west of Orlando, Pasco’s central location makes it easy for visitors to enjoy all that West Central Florida has to offer! 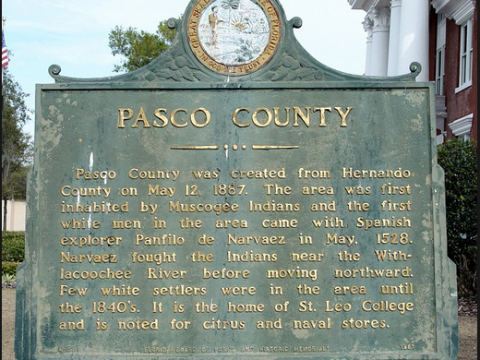 Why is Pasco County called Pasco County? 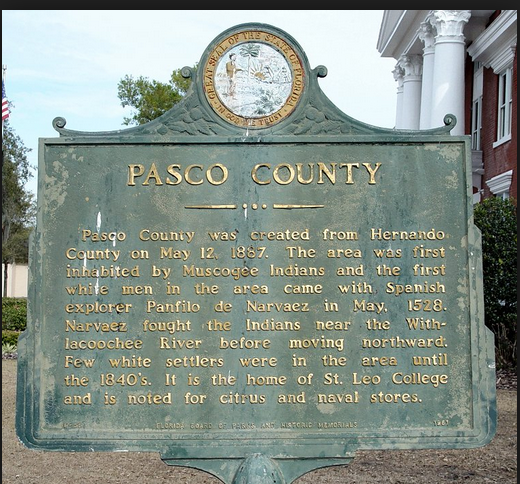 Pasco County was created in 1887 from the southern part of Hernando County. It was named for Samuel Pasco, who served in the Confederate Army, the state legislature and in the United States Senate from 1887 to 1899. 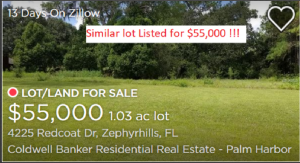 SIMILAR LOTS IN THE AREA ARE SELLING/LISTING FOR $55,000 ! !